HOMEOWNERS struggling to sell their properties in Spain, fear not. Our very own Olive Press property website is showing that a well-presented, realistically-priced property is more than capable of selling. We even know of one agent who has followed this principal and sold, subject to contract, 14 properties in just 18 days recently. Now how’s that for a supposedly dead market! Recent statistics in the UK suggest that around 400,000 Britons are looking to invest in property abroad, with Spain and France topping the list. Most of them, according to reports, have paid off their UK mortgages much earlier than expected due to historically low interest rates for the last five years. It means they have suddenly found themselves with money to invest elsewhere. And Andalucia is topping the list, along with Mallorca and the Costa Blanca, according to reports. Indeed, the appeal of moving abroad for those between the ages of 45 to 64 has never been greater, according to recent figures from HSBC. The bank reported last month that the number in that age group considering buying homes abroad has risen to 38 per cent, an 8 per cent increase from three years ago. Our specialist web portal represents houses for sale and rent ONLY in Andalucia, and is the perfect place for people wanting to sell, buy or rent. 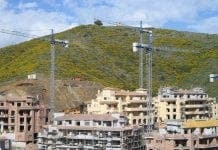 We are currently receiving 10,000 unique visitors looking at tens of thousands of properties a month, while the site is on the front page of Google for search terms including ‘property for sale andalucia’. We have quality agents offering all types of properties both inland and on the coast. They list at very reasonable rates from €199.99 plus IVA and private individuals can also post a property from only €49.99 plus IVA. You’ll be hard pressed to find a more inexpensive and low risk way to market your property. And as they say, ‘nothing ventured, nothing gained’. Statistics, statistics. Without a price breakdown, these findings are not very helpful. OP, please give us a full breakdown of all sales. Your website should give all of these breakdowns in region/price/house-type layout – basic stuff for a property website these days.